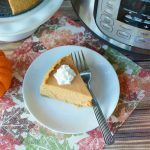 This Instant Pot pumpkin cheesecake can be made in your pressure cooker in minutes. 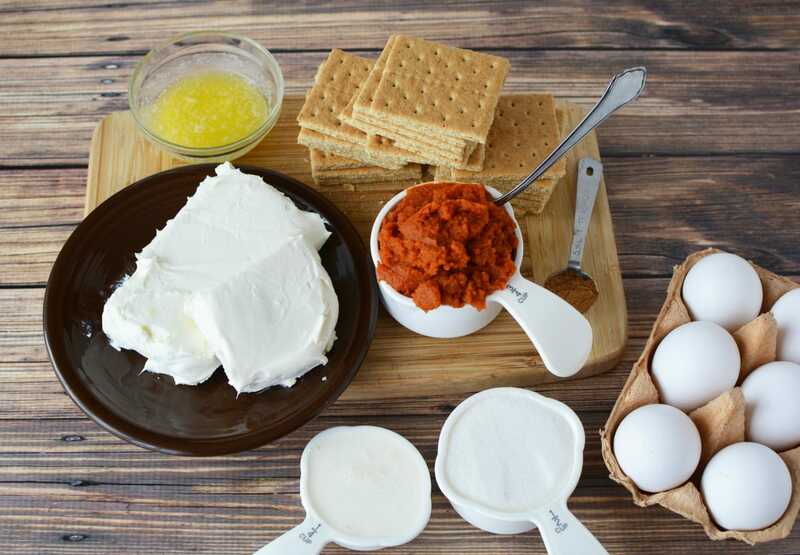 Get easy step by step instructions for a fail-proof dessert. LOOKING FOR MORE THANKSGIVING RECIPES? TRY OUT MY INSTANT POT CRANBERRY SAUCE, MY INSTANT POT MASHED POTATOES OR INSTANT POT TURKEY BREAST WITH STUFFING AND GRAVY! 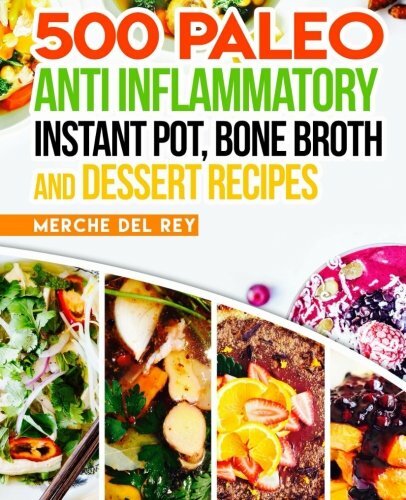 I have fallen in love with my Instant Pot and use it for just about anything so you can imagine. So when I learned you can make dessert in an electric pressure cooker, I knew that I had to try it as soon as possible. 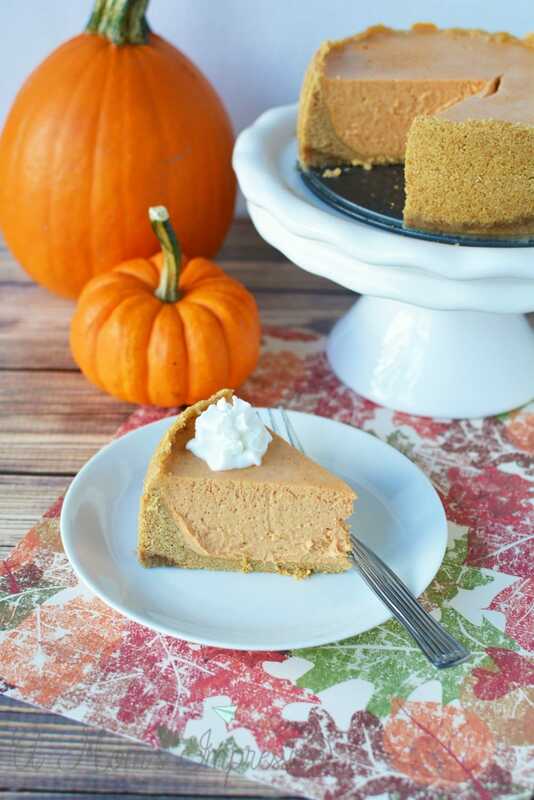 There are quite a few Instant Pot cheesecake recipes floating around but honestly this Pumpkin Cheesecake Instant Pot recipe is the best that I have tried. 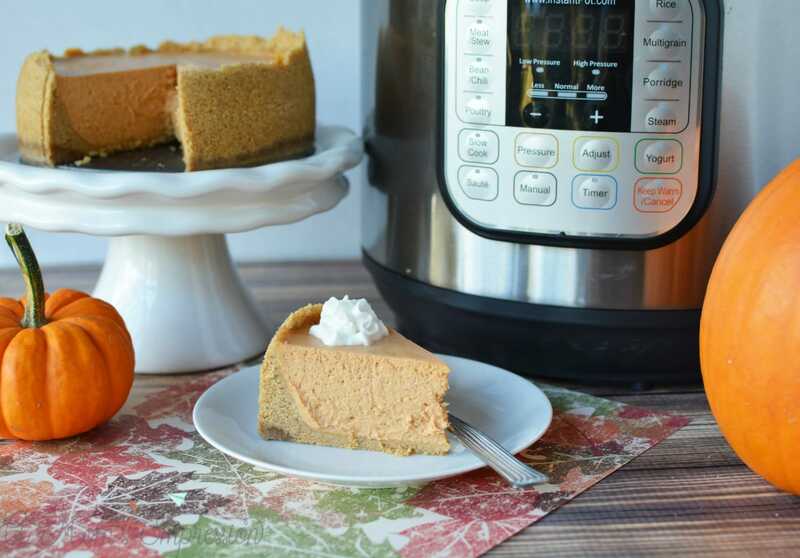 Once you have the method down you can let your imagination be your guide when it comes to Instant Pot Cheesecake recipes. I have even made Animal Cookie Cheesecakes in my Instant Pot. I think I may try out a recipe involving Oreo or even peanut butter and chocolate next! Hiware 7 Inch Non-stick Springform Pan / Cheesecake Pan / Leakproof Cake Pan Bakeware / With Cleaning Cloth The key to any Instant Pot Cheesecake is to get a quality springform pan. I used a 6 inch pan in this recipe but you can easily use a 7 inch pan as well. 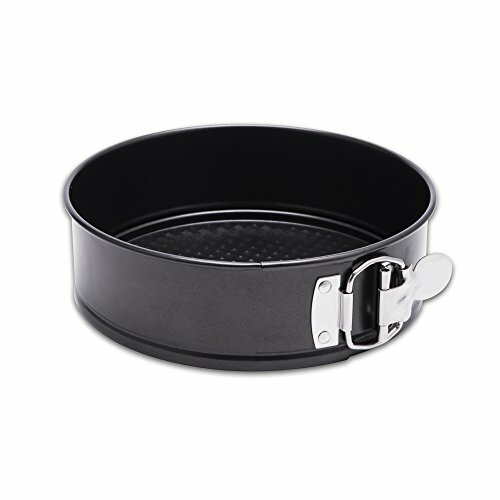 I recommend this springform pan to use with your Instant Pot. It has great reviews on Amazon and comes with a cleaning cloth. 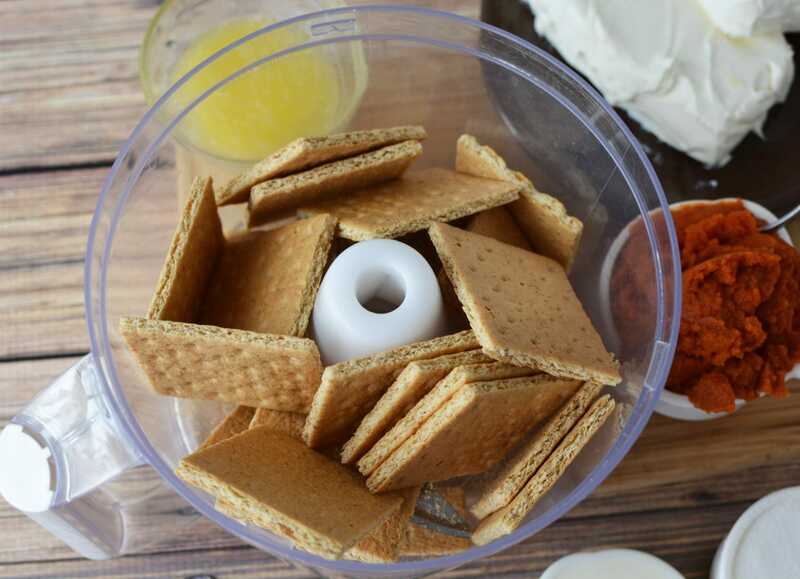 Add graham crackers to a food processor and process for 20 seconds or until fine crumbs form. Add butter and sugar if using and process for 5 seconds until mixed well. Pour crust into a 6″ springform pan and use a tart shaper or back of spoon to flatten. Set aside. Rinse the food processor bowl and blade. 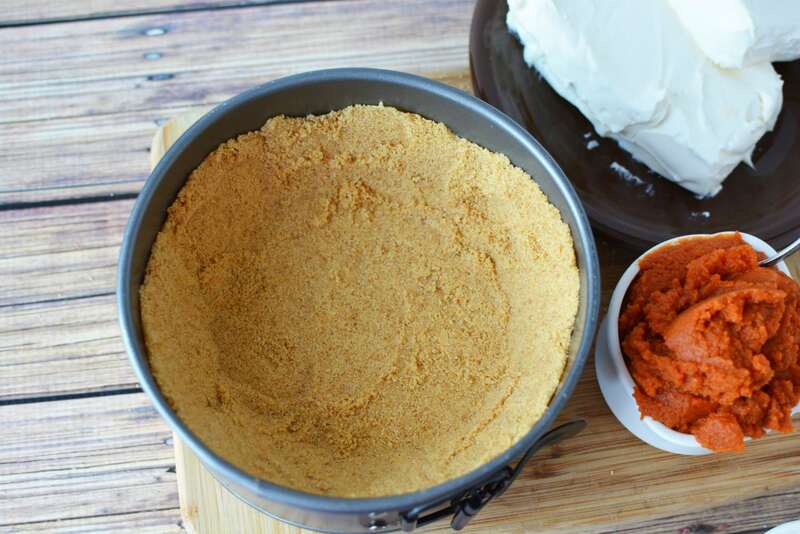 Add cream cheese and sugar and process until smooth, about 10 seconds. You may have to scrape down the side of the bowl once. Add eggs and process for 10 seconds or until mixed well. 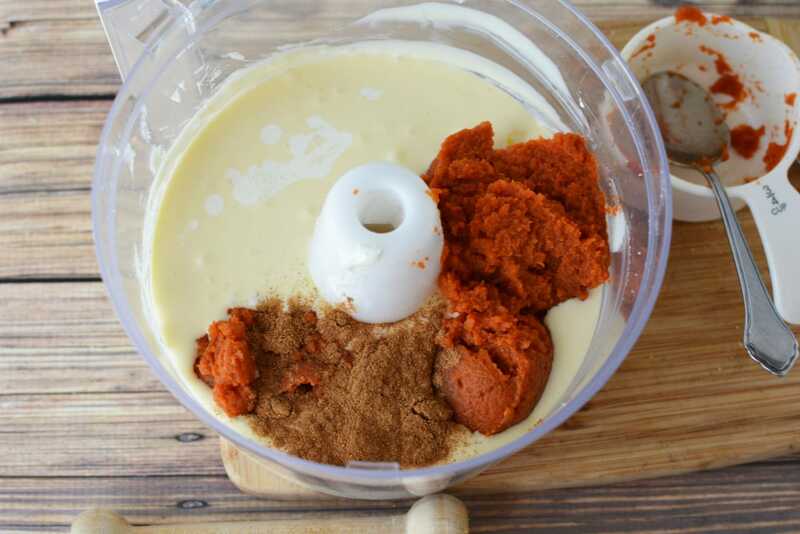 Add whipping cream, vanilla, pumpkin and pumpkin pie spice. Process 10 seconds or until mixed well. Pour into prepared crust. 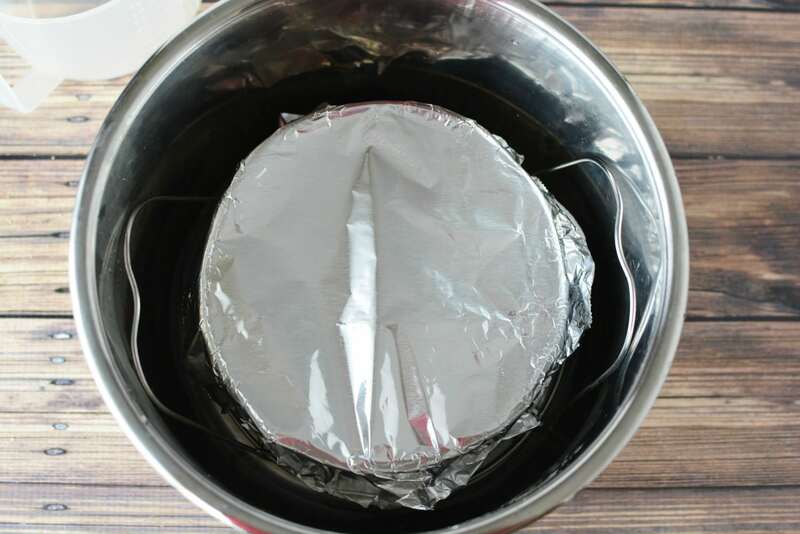 Cover the pan with a paper towel and loosely cover with foil. Place water into the bottom of an Instant Pot. Place the cheesecake onto the trivet and use the handles to place the cheesecake into the instant pot. Close the lid and the quick pressure release valve. Set the instant pot to manual for 30 minutes and let pressure release naturally for 15 minutes after cooking. Open pot and remove cheesecake, making sure you use hot pads. Remove the paper towel and foil and let cheesecake set until room temperature. Chill at least 4 hours before serving with whipped topping. Pour crust into a 6" springform pan and use a tart shaper or back of spoon to flatten. Set aside. 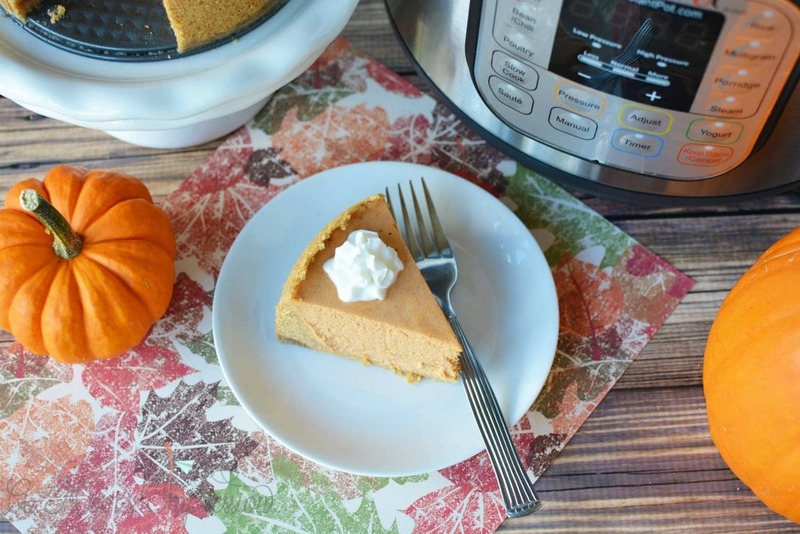 There is so much more you can do with your Instant Pot than you realize! 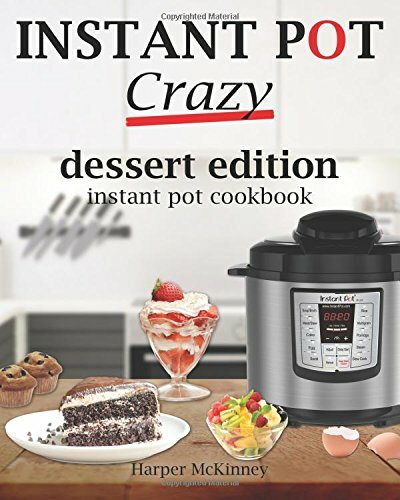 Cheesecake is just the tip of the Instant Pot dessert craze, be sure to check out some of these cookbooks for more yummy ideas! 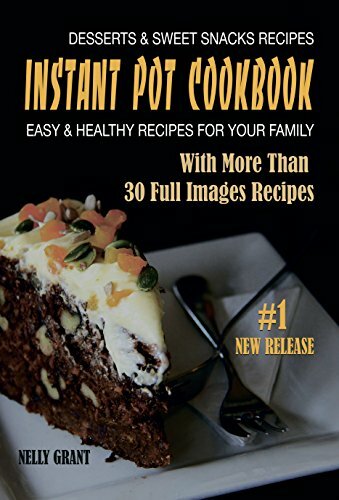 For more recipes be sure to check out our collection of kid-friendly Instant Pot recipes! 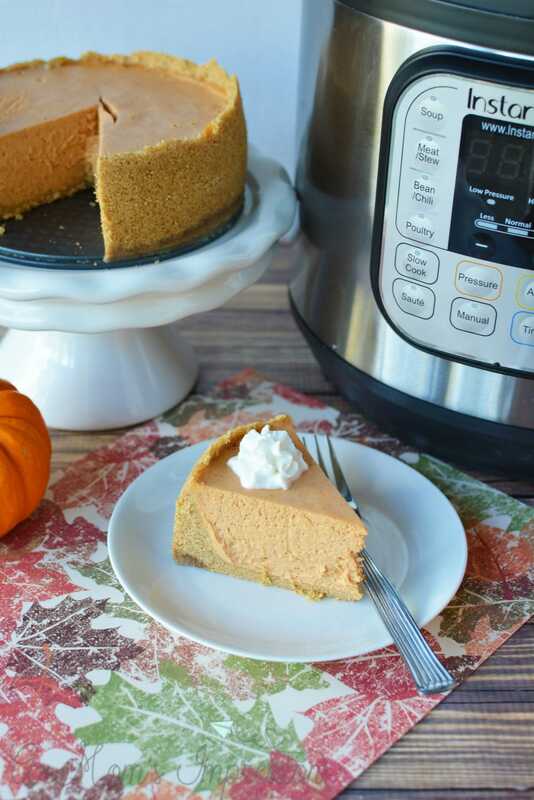 Click below to pin this Instant Pot Pumpkin Cheesecake!